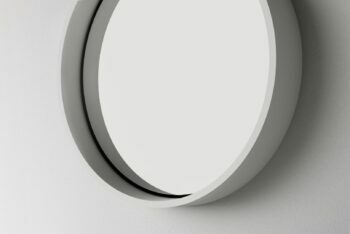 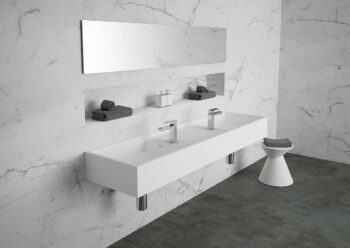 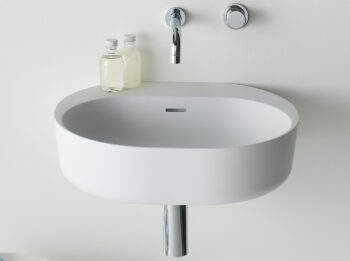 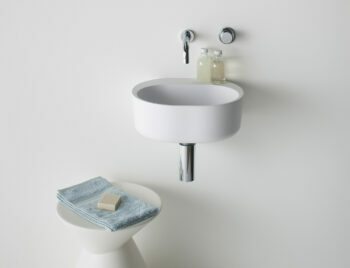 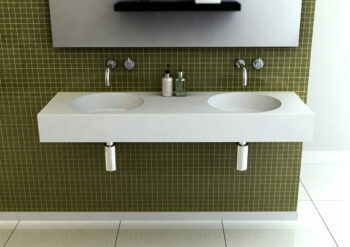 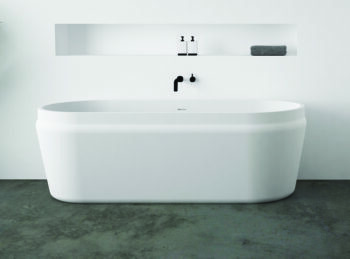 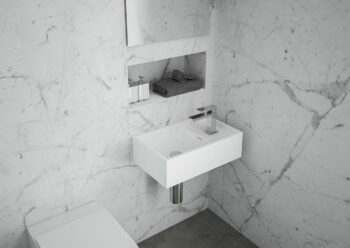 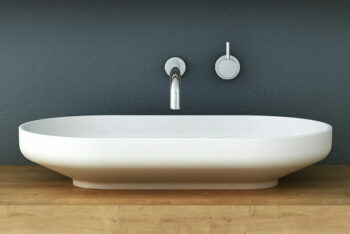 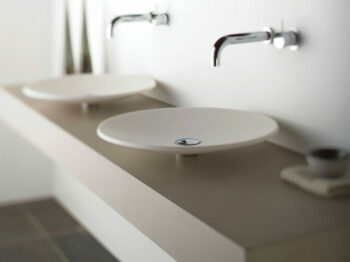 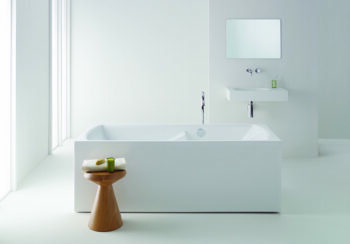 The clean lines and elegant shallow vessel of the Mono is designed specifically to complement the Mono pedestal. 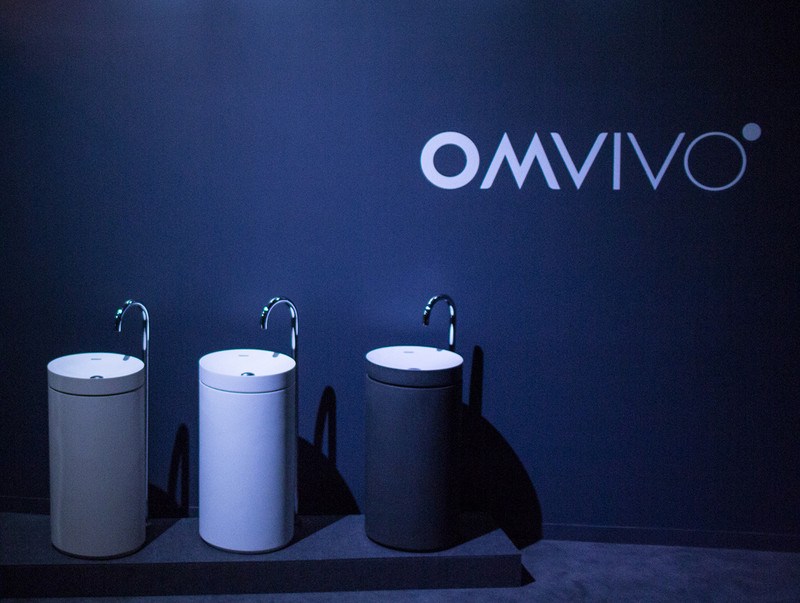 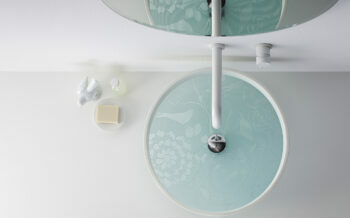 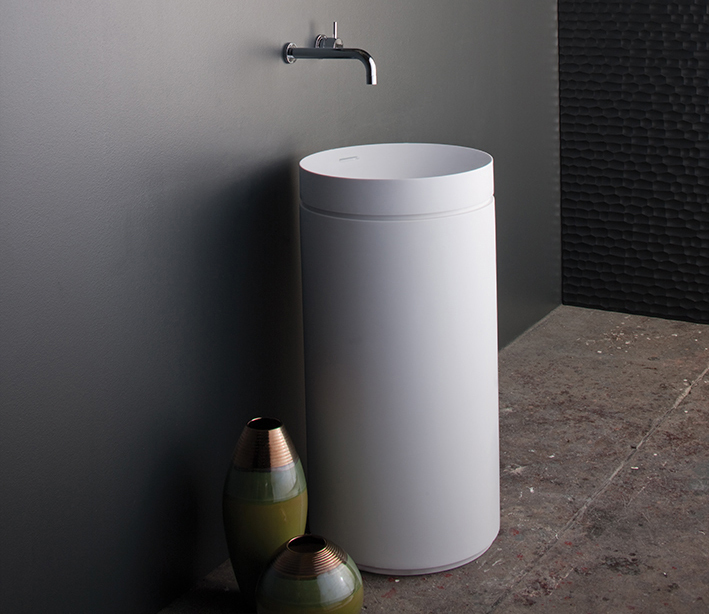 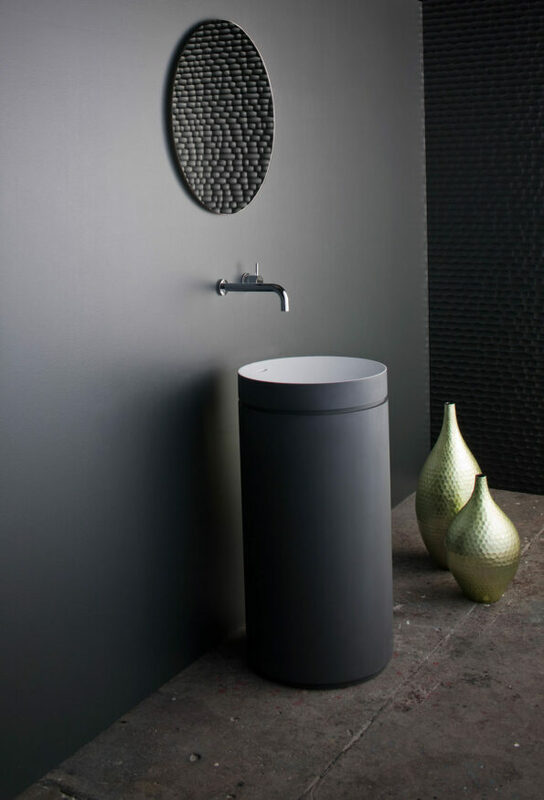 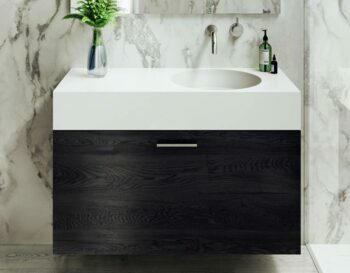 Offering a luxurious alternative to a standard wall basin or furniture, the Mono pedestal is a sophisticated feature for the modern bathroom or powder room. 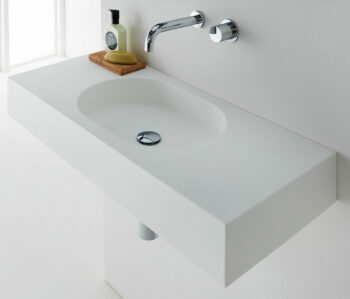 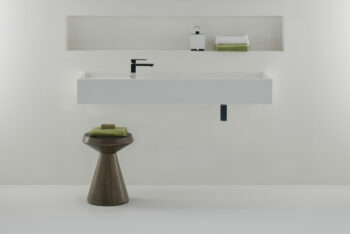 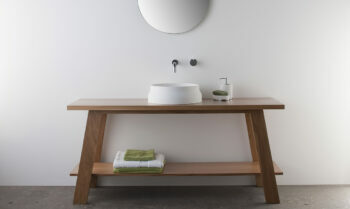 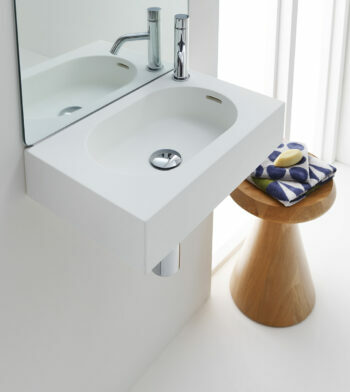 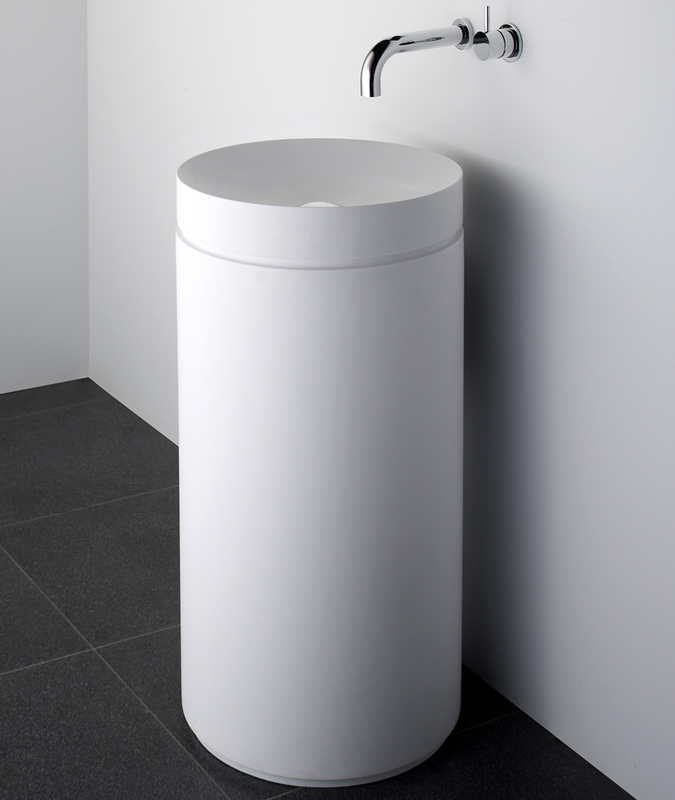 Manufactured from solid surface the Mono basin and pedestal have a smooth matt finish that is exceptionally hard wearing, durable and is also available with Softskin options.